Learn more about one of the newest additions to Sacramento’s squad. Though Alec Burks is relatively new to Sactown, he's looking to quickly settle into a key role for the Kings in the second half of the season. Before we look to the future of what No. 13 could potentially bring to Sacramento, let’s take a look at how he got here. Burks started his journey by playing two seasons at the University of Colorado-Boulder. During his sophomore season, he went on to average 20.5 points, 6.5 rebounds, and 2.9 assists before declaring for the NBA Draft. After a strong showing in college, the Missouri native was selected 12th overall by the Utah Jazz in the 2011 NBA Draft. He went on to log seven seasons with the Jazz, including two seasons of ever-valuable playoff experience. Last November, Burks was traded to the Cleveland Cavaliers and quickly earned an increased role, where he averaged 11.6 points, 5.5 rebounds, and 2.9 assists per game in 24 contests. As it often goes in the Association, however, players have to be ready for anything. A three-team deal on February 6th placed Burks into a new situation with a chance to be a key component for Sactown’s second unit. Standing at 6-foot-6, the former first-round combo guard picked up the nickname "Houdini" from Utah broadcaster Craig Bolerjack for his knack for finishing at the rim. In his purple and white debut, Alec notched nine points and four rebounds in 14 minutes of action as the Kings defeated the Miami Heat. After the game, AB noted how he hopes his previous postseason play will factor into his contribution in Sacramento. 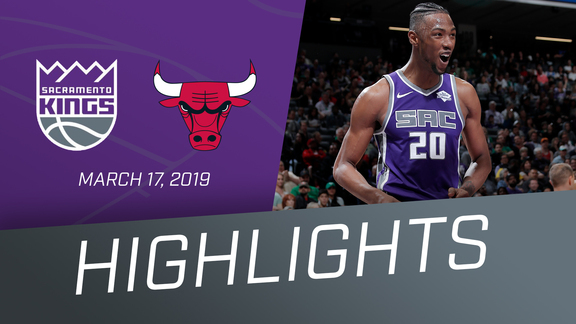 With a versatile skillset, a knack for scoring, and invaluable playoff experience, Burks is ready to bolster Sacramento's bench heading into the team's crucial second half of the season.